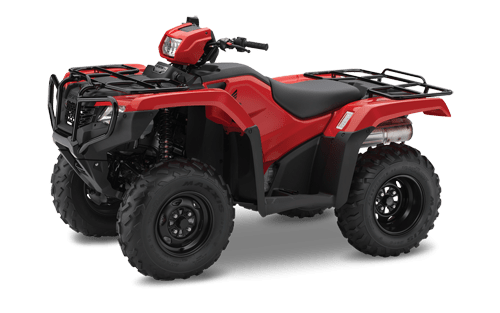 Powerful liquid-cooled 475 cc four-stroke engine is longitudinally mounted, allowing direct driveshaft alignment to both front and rear wheels for maximum drivetrain efficiency. Convenient electric starting, with an automatic internal-decompression system, gets you going quickly and easily. Super-heavy-duty automatic clutch with low-rpm engagement for excellent drivability and towing capacity. 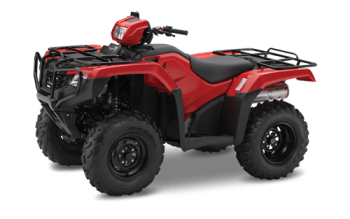 Five-speed transmission with ultra-low first gear features Honda’s exclusive Electric Shift Program (ESP) for easy shifts with the touch of handlebar-mounted buttons.